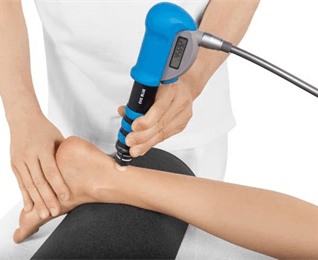 Ideal for post or pre operation or acute phase of injury or joint or soft tissue injuries. Great for lactic drainage, Lymphatic stimulation and improves circulation. Used by premiership football and rugby clubs. Deep tissue massage uses firm pressure and slow strokes to reach deeper layers of muscle and fascia (the connective tissue surrounding muscles). It's used for aches and pain and contracted areas such as a stiff neck and upper back, low back pain, leg muscle tightness, and sore shoulders. Osteopaths assess, diagnose and treat issues related to muscles, joints, tendons, ligaments, bones and nerves, from head down to toe. Using a combination of hands-on techniques, Osteopaths treat the cause of your pain rather than the symptoms. Shockwave Therapy is a non invasive alternative to surgery, steroid injection or oral medication. It is the use of a single acoustic pressure waves. Fitness enthusiasts or athletes will find massage helps to improve flexibility, weight loss and muscle tension, thus speeding up the recovery time. Massage helps improve sport performance, increase endurance and help lower fatigue levels. By reducing fatigue, athletes can train better with longer, more effective workouts. This mobile sports massage can be used to prepare the body for sport or to help with the healing process after sport. 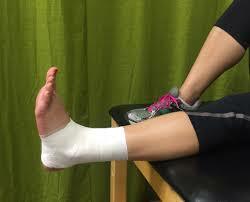 We offer a range of taping and bracing techniques to support your muscles and joints during a long day or to help an injury recover.Kinesio-taping, Structural taping and Fascial taping are all available from our expert therapists.